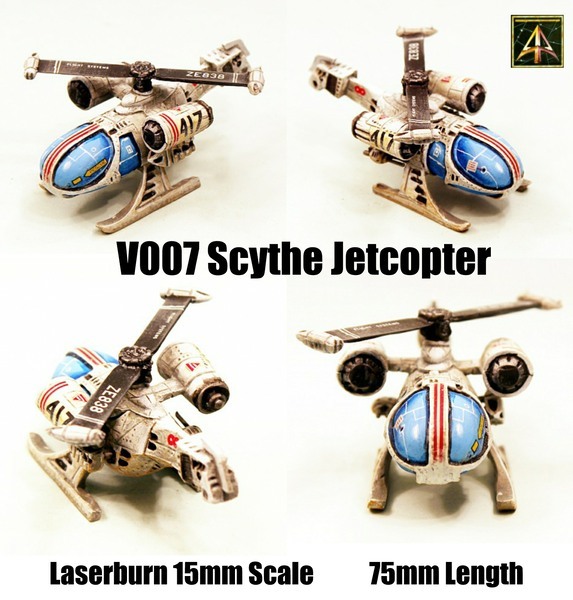 Alternative Armies: V007 Scythe Jetcopter classic Laserburn 15mm vehicle new price! 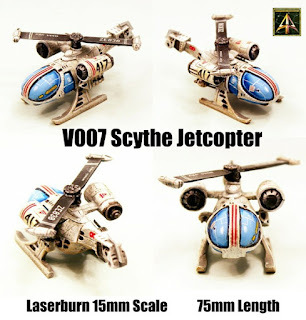 V007 Scythe Jetcopter classic Laserburn 15mm vehicle new price! 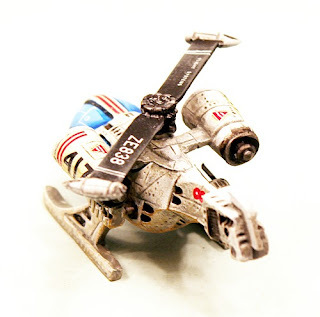 To end the month a missive concerning a classic chariot of the skies. Now re-molded and improved in production with a lower price we present the 15mm scale V007 Scythe Jetcopter. There are not many bladed helicopters out there in 15mm scale and this kit is a really nice one which can be used in Laserburn or any system in that scale. Go HERE or read on for more. 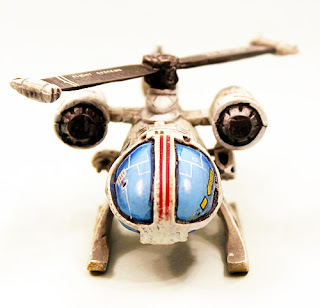 This code contains all of the parts required to assemble one jetcopter suitable for any 15mm campaign. The parts are as follows a resin main hull, resin top mounted engine pods, white metal landing struts, white metal rotor blades with miniature thrusters and three separate weapon pods for attaching to the hull in position of your choice. 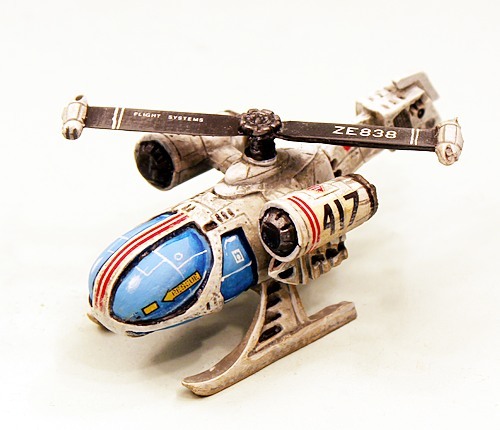 This model is not supplied with a flying base but can be easily mounted upon one. Assembly required. Dimensions assembled are 75mm length, 35mm width and 35mm height. Was 8.00GBP now 6.00GBP per pack! Go HERE. 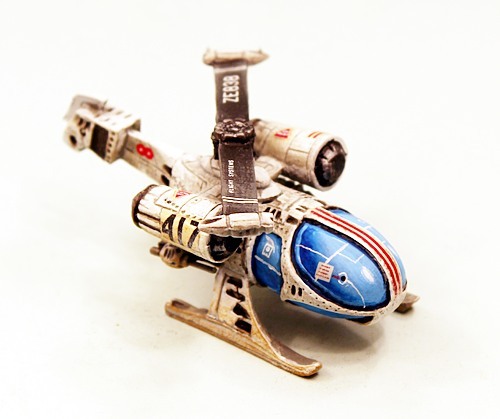 Laserburn is a progenitor tabletop game system and miniature range from the 1980's which has been lovingly brought back to the wargaming world by Alternative Armies in recent times. It has over one hundred 15mm infantry and small vehicles as well as over a dozen larger vehicles which were once white metal but are now in resin. 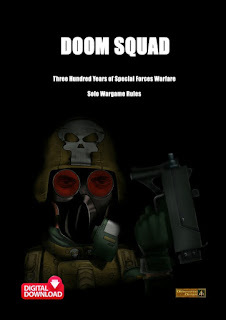 Law Officers, Adventurers, Starship Crew, Robots, Imperial Marines, Redemptionists, Mercenaries, Aliens and more as well as civilian vehicles, Glaives, Scout Cars, Air Raft, Flying Vehicles and the Scorpion Air Lander. A lot to choose from. Go HERE for the range.